the MomTog diaries: I "Heart" Freebies! Tis the season for great shopping deals and freebies! 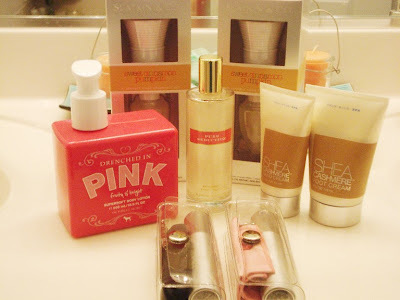 Some of these items were free w/ small purchases and some were just freebies I got in the mail! The grand total for the items pictured was $0! Thanks to VS, B&BW, and Sunglass Hut! !